Use the celery fronds - there's "gold" and flavor in them there greens! A week or so ago I had the chance to pull out my big knives and teach a knife skills "class" for my blogger buddy, Barbara, from the blog, Zero To Sixty and Beyond. She, her husband, Dave, their son, Jeff, and my good friend and fellow cycling pal, Aaron, gathered in Barbara and Dave's funky and cool Queen Village kitchen for a personal demonstration on the anatomy of knives, and learning how to slice and dice vegetables and not your fingers. I used to teach this class once or twice a series when I taught cooking classes at Williams-Sonoma. It was always a sell-out class and in-between teaching, whenever I was on the sales floor at the store, I'd hang out by the knife case to share my enthusiasm and knowledge with whomever would stop by the cutlery area. Sometimes I'd even grab a display onion, potato or carrot just to show-off my mad skills and encourage even the most knife-shy novice the joys of finely cut carrots! These are primal, primary and essential culinary skills that everyone should master, even those of you who only use a knife to open a frozen dinner! I started out by talking about knives, not in a gossipy, Mean-Girls sort of way, well, unless you count my trashing cheap knives. I'm interested in showing people what kind of knives you should have in your kitchen - and there are basically three knives that you must have: a 7" to 9" Chef's Knife, with a good solid wooden handle, well-balanced and hand-forged. It should cost at least $50 but shouldn't exceed $100, unless you are going for a top of the line, like a Shun knife. You should have a decent 10" serrated knife for cutting bread, tomatoes and citrus fruits. And you need a decent paring knife, not too expensive, more or less in the $25 to $40 range, though a Kuhn Rikon paring knife, colour coordinated with a cover may cost all of $15. "A Boy Named Sue" Aaron, cycled over carrying a knife in his pack for this class! Cutco, Ikea, or those knives you get in a supermarket are crap and aren't worth wasting your money. Plastic handles? NO THANK YOU! They usually are a sign that the knife blade isn't a full "tang", meaning that the entire length of the knife stops where the handle meets the metal. A good knife should be one solid piece of steel, from tip to bottom, handle encased in a wooden or composite material, giving the knife a perfect balance for your hand. Never put your knife in the dishwasher, it ruins the handle and the blade. The temperature variation is too much for the materials to withstand and the detergents deteriorate the metal and the handle over time. We talked about knife sharpening and how to use a whet-stone, what, why and how to use a steel - which does not sharpen your knife at all, but rather, puts the "edge" back to your knife in-between sharpenings. A whet-stone is the best tool to use for sharpening a knife. Depending on how often you use your knife, you may only need to sharpen a good, quality knife every few months (unless you use your knives every day, especially if you are a pro-chef). One should refrain from using an electric knife sharpener, mostly because it eats away at the knife very quickly, turning a chef's knife to a boning knife within a year if you sharpen your knife all the time. Onion Dicing - PERFECT! Holding the knife? Don't put your index finger along the knife spine! After the anatomy lesson, we got to work cutting, peeling and chopping a variety of vegetables, staring off with onions, and moving to carrots, celery, peppers, zucchini and garlic. I even threw in a quick demonstration of how to supreme citrus, to show how you get the citrus segments free of skin and pith. The hands-on lessons are always more fun than the lecture, as you get to actually dive in and put to use the demonstration for yourself. Some things are hard to remember, such as the best way to hold your knife; point your fingers like you're pretend shooting a gun, your thumb and your index finger pinch the knife where the handle meets the blade. The three remaining fingers, middle, ring and pinky, wrap around the handle. NEVER rest or use your index finger along the top or spine of the knife. It causes strain on your finger that runs along your wrist, plus you have less control of your knife. Dave, Barbara's personal Sous Chef, took to the lesson like a samurai to a sword. He had natural talent and enthusiasm for the demonstration. I think he enjoyed the event more than anyone, except for their dogs, Sydney and Buddy. They enjoyed all the scraps that fell to the floor during the carrot cutting. Boboli Pizzas - tres bien, muy bueno, abbodanza! 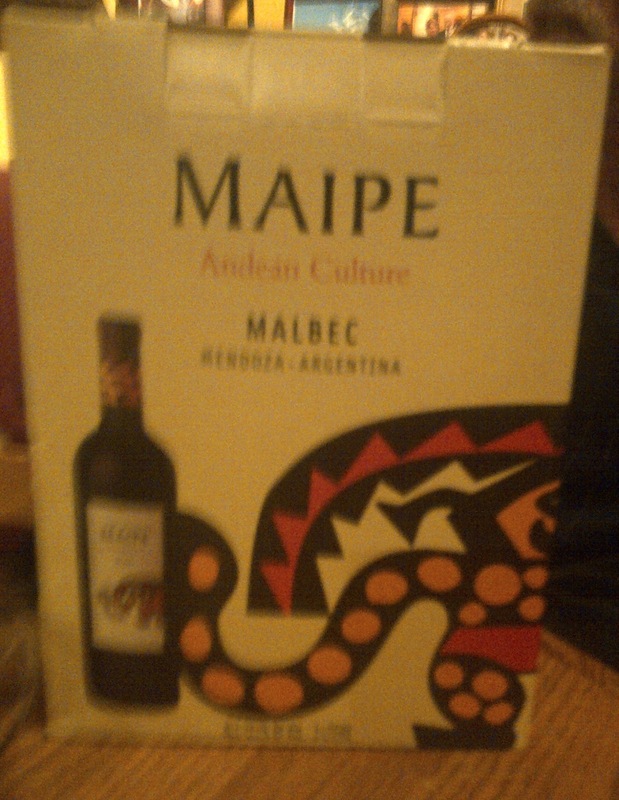 After the lesson concluded, we drank some delicious wine - a surprisingly good and rich tasting Malbec from Argentina, in a BOX! Looks like I'll be scouring the wine store for this full-bodied bargain. Box wines have come a long way since their debut. They keep well, making for a great choice to buy and drink a bit at a time. A box is usually the equivalent of 4 bottles for the price of 1 or 2! So, thanks to Barb and Dave, I got a wine tasting lesson and discovered a great new wine. Barb also reminded me of the delights of semi-homemade pizzas and the great use of Boboli pizza crusts. I'd forgotten about these little pizza-gems from the supermarket. A few of those, some Trader Joe's fig jam and some goat cheese and you've got a gourmet to go pizza impressive enough to serve with a great box wine for a fun night with friends! Should any of my local tri-state area readers (Philly, New Jersey, Delaware) be interested, I will travel to teach cooking lessons or knife skills lessons. Message me at denine (dot) thebicyclechef (at) gmail (dot) com My rates are reasonable, my lessons and informative and more importantly, I'm very entertaining!